When you open your heart, you learn to become part of the universal intelligence, the Presence. Or, does that make you too vulnerable? When you learn to open your heart, you will find the entire Universe opens up to you. When you really look into your heart, the awakening that Carl Jung speaks of is possible. When you learn to practice meditation and devotion, becoming one with God/the Universe is the consequence. It is in the stillness and silence that we become aware of the Presence. Meditation is concentrated attention on this Presence. I love the concept that prayer is talking to God, but meditation is God talking to you! In stillness through meditation we allow God to talk to us. In my own life, an open heart and open mind, through seeking the Presence has had interesting affects. Recently it seems that I have been experiencing more and more animal encounters. Animal? Yes, wild animals just seem to come my way. The coincidence of being in the right place at the right time to commune with wild animals is occurring with more and more frequency in my life. I believe it is a matter of having an open heart and open mind. I am becoming more and more in tune with the Universe as a whole, and the fact that we are all part of the same collective intelligence, the same creation, the same quantum soup, or however you personally choose to word it. If you learn to open your heart, you may find the same thing happening to you. 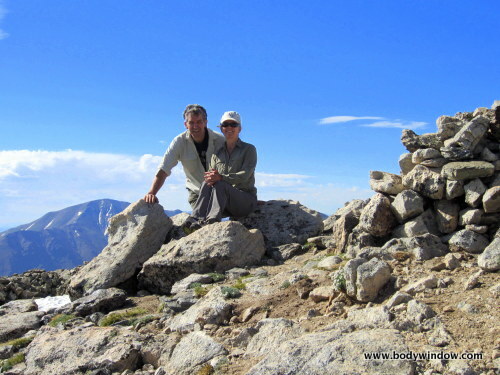 A few weeks ago, my husband and I were climbing Pacific Peak, just west of Breckenridge, Colorado. As we were mountain climbing the Northeast Ridge, which was quite steep, but not technical, I happened to look up above us. It is very easy to get caught up in only looking downward as you climb, and put all your effort into the next foot placement. 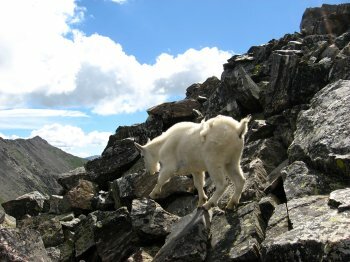 The mountain goat kept moving closer to us, seemingly with no fear. She stopped right next to us on the ridge, as I snapped the second picture. She couldn’t have been much more than 10 feet away. She sort of lifted her nose as if to sniff us, then after a few seconds, continued on her merry way. 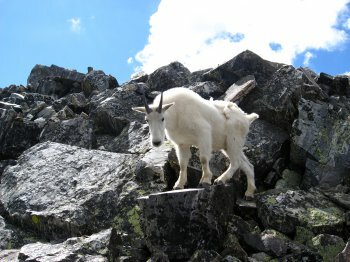 I took this picture of her as she was descending down the ridge below us, towards Crystal Peak. 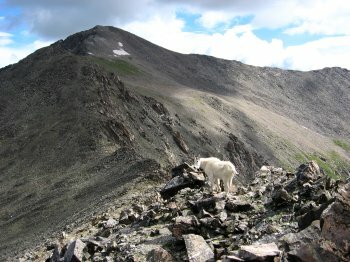 Near the bottom of the ridge, in full view of Crystal Peak, the mountain goat stopped, paused, looked around, as if to decide her next direction, and posed for this final picture! Now, you may say, that many animals in the wild have been trained to lose their fear of humans. I suppose that may be true. However, she did not approach us as if she were wishing to be fed. She approached us only with curiosity. She seemed to be walking down the ridge as if it were her normal routine, and she just happened to stroll by us! Miraculously, she had no fear of us. In addition, we were on a mountain that few people climb. 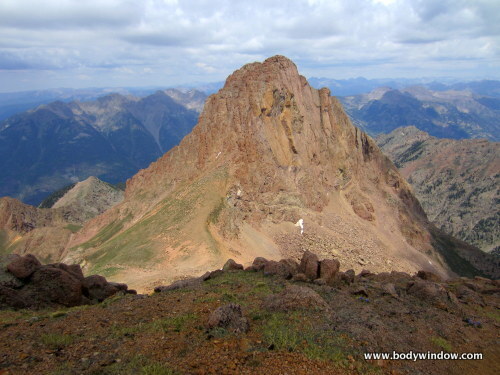 Pacific Peak is a centennial thirteener (one of the highest 100 peaks in Colorado, and above 13,000 feet). The entire day, a Sunday in August, which is peak mountain climbing/hiking season, we saw no one. 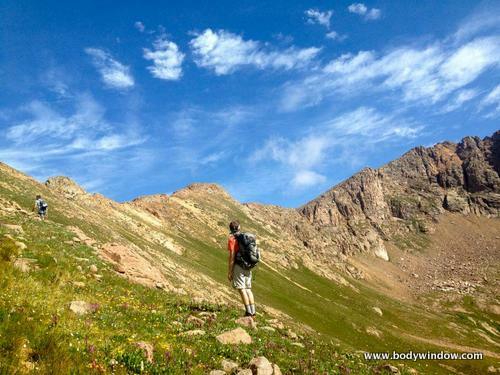 This is unlike the fourteeners (peaks above 14,000 feet), that on a Sunday in August would be crowded with summit-baggers. 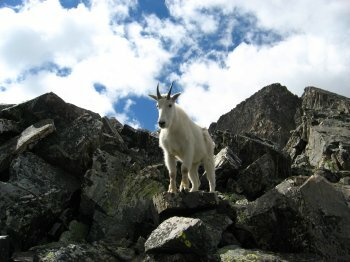 So you judge for yourself: Was our goat encounter a coincidence or was it more? I challenge you to open your heart to such experiences, and see for yourself. 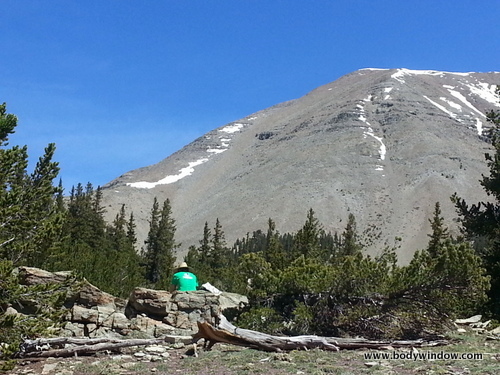 I often do yoga on my deck, facing the mountains, on our 35-acre property in Southern Colorado. It is remote out there. The wild deer and elk are very skittish. One sunny summer day, recently as I was doing the upward dog pose, I heard a noise. It was the unmistakable crunch in the woods of hoofed feet. Suddenly the sound stopped and I saw a young doe standing in the brush about 30 feet away. She looked startled to see me. I silently sent her a message of Peace and Love and told her she was safe. She stared at me for a full minute, it seemed. Then, she looked down, and started grazing on the brush! I was just amazed. I slowly rose to my feet, to do the tree pose. She looked up and looked at me, as I moved slowly. I sent her more messages that I would not harm her. She went back to grazing. After several minutes, perhaps ten or fifteen, she slowly ambled her way down the hill until she was out of sight. Afterward, when I told my husband, my story, he stated that this sort of thing never happens! He is a nature lover and watcher of the deer and elk. I was thrilled and felt very connected indeed, to the Great Cosmos, the Universe and Creator of all things! I have many more such tales, but I won’t bore you with any more. Just suffice it to say that if you open your heart, become one in the melting pot of the collective soul, the collective conscious, you can truly awaken to a new life and new experiences. For me, it seems, the wild animals are my friends. Our worlds become better, more whole, happier, more loving and more complete when we carry with us an open mind and open heart. When you open your heart, you can find healing of your body-mind-soul. 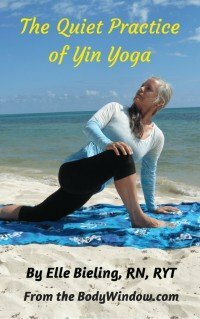 You can learn to open your heart through my meditative Foam Roller Exercises to Open Your Chest (and heart). Learning to open your heart invariably teaches you to accept that we are all part of the Sameness of the Universe that unites all things.